Filipino cleaners are in demand right now for employment in different parts of the world. If you are an experienced cleaner or you’ve worked in a similar field before, this is your chance to get hired abroad. Check out the list of OFW Job Hiring for Cleaners in Qatar, Saudi Arabia, Bahrain, UAE, USA, and Kuwait. The Fair Hiring Initiative Inc. agency is currently pooling for 20 Female Cleaners for employment in Doha, Qatar. This is a project of Spotless Maids Services for Hospitality & Cleaning. Applicants should have at least a High School Diploma and can communicate in English. It would be a plus if you have TESDA NC II in Housekeeping. You should have a minimum of 1-year working experience as a janitor, cleaner or housekeeping staff in any big establishment like supermarkets, malls, hotels, parks, etc. Basic Salary is USD 400 per month plus meal allowance QAR 300 per month with free accommodation and transportation to and from worksite to lodging place. Click here for more details about this job vacancy or visit the agency’s office at Unit 203, CRM Building 3, 106 Kamias Road, Quezon City. Juan Smart Manpower Phils. Co. This agency is in need of 50 Female Cleaners for employment in Doha, Qatar. This is a project of Top Unique Cleaning & Hospitality. 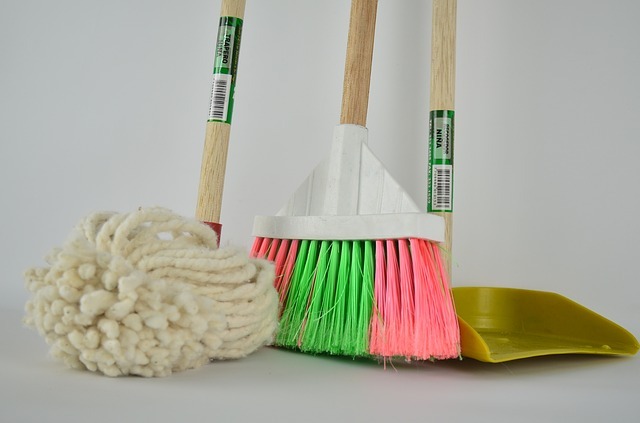 Female cleaner applicants who are 22 years old and above, 5’2″ or 154 cm in height, with at least Vocational or short course diploma and 1-year working experience, are welcome to apply. To apply, please report to this agency’s office at BPI Bank Bldg, 6th Flr., 1337 A. Mabini St. corner Sta Monica St., Ermita, Manila. Some of the requirements include 2×2 picture, passport, training certificates, employment certificates, and school credentials. You may also send your updated resume with your picture and scanned copy of your credentials to their email address, juansmartworkers@gmail.com. This is agency is looking for 25 Filipino Female Cleaners for employment in Doha Qatar for a project of ADDAD Cleaning Company and Hospitality. Applicants must be 25 years old and above with at least a High School Diploma and a minimum of 2 years working experience are required for this position. This agency is looking for 50 cleaners for employment in Doha, Qatar. This is open to Filipino female applicants, 20 years old and above, with at least a High School Diploma, and 2 years working experience. Wiserecruit, Corp. is currently pooling for 10 Filipino Female Cleaners for a project of VIP Gym (King Khalid Military City). This is for employment in Hafar Al Batin, Saudi Arabia. Applicants must be 28 years old and above with 5 years working experience. You may send your application with your updated resume and supporting documents to their email address at wragencyprocessing@gmail.com. You may also inquire through their mobile numbers 0945-1058550 or 0920-6139968. 500 cleaners are are needed by this agency for a project of Maharah in Saudi Arabia. Applicants must be 22 years old and above, must be able to communicate in English, and with at least 1 year working experience. You may apply personally at No. 43 West Point St., Cubao, Quezon City with telephone number 913-3333. Gold Icon Recruitment & Promotion Inc. is in need of 50 Filipino Female Cleaners for a project of Tylos Manpower Service Co. W.L.L. This is for employment in Manama, Bahrain. Applicants should be 23 years old and above, with at least a High School Diploma, and with 1-year experience or more. First timers and ex-abroad applicants are welcome to apply as long as you have knowledge in cleaning, hardworking, and can communicate in English. This agency is in need of 50 Female Cleaners for employment in Dubai, Sharjah, and Abu Dhabi in the United Arab Emirates (UAE). This is a project of Whiehouse Cleaning Company / Mastermaids and this job vacancy is open to Filipino Female Cleaner applicants who are 21 years old and above with at least a High School Diploma, with or without experience. This agency is currently pooling for 30 Cleaners, male or female, 35 years old and above, with or without experience. This is a project of Thumbay for employment in Ajman, United Arab Emirates. LV Universal Manpower Services, Inc. This agency is in need of 60 Male and Female Cleaners for employment in Dubai, Fujairah, and Abu Dhabi, United Arab Emirates (UAE). Applicants must be Filipino, 21-40 years old, with at least 1 year working experience. You may send your application with your updated resume through their email address, jr.lvumanpower@gmail.com. The schedule of the interview is this week (first week of July). Magsaysay Maritime Corporation is currently in need of 10 Head Cleaners (Galley) for Seabased Worldwide, USA. This is for an International Cruise Line. Applicants must be 21 years old and above with at least 1 year experience handling similar capacity in an International Cruise or 5-star Hotel. A supervisory or managerial position is a must and shipboard experience is required. To apply, fill out the application form at the agency’s website, www.magsaysaycareers.com. The JTC International Manpower Services, Inc. is currently in need of Female Salon Cleaners for employment in Kuwait. This is open to Female applicants who are 23 years old and above, with at least a High School Diploma, and 2 years experience. These job vacancies are posted at the Workabroad.ph website and we are in no way affiliated with them or with any of the above-mentioned agencies. This article is for information purposes only and it’s subject to change without prior notice. To check the license validity of the agency, visit the POEA website. Please contact the agency directly for your inquiries and application. i want to apply as cleaner in UAE..can you help me?i dont know where’s agency i can apply..
hello..am looking for a job abroad..hope you could help me out..thanks..